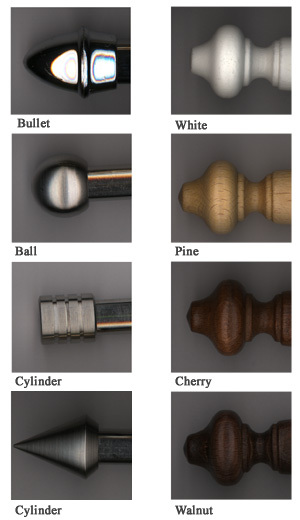 Below are a small selection of shapes along the bottom of rollers. Each shape has more options such as straight with an anodised aluminium or white bottom external hem bar. Below are examples of turret ends.